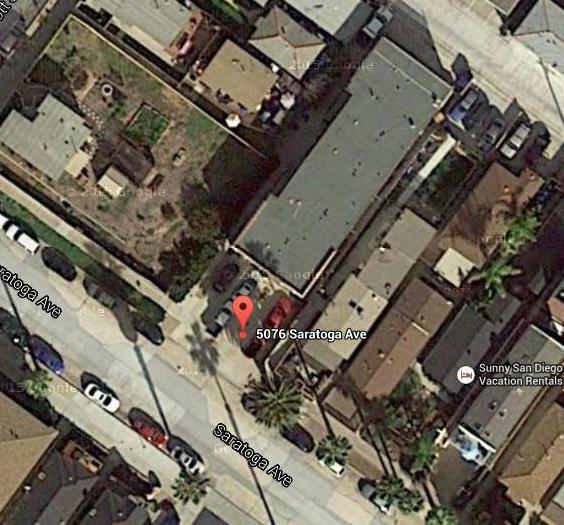 A 9-unit apartment complex on the 5000 block of Saratoga Avenue has been sold for a cool $2 million cash just recently. 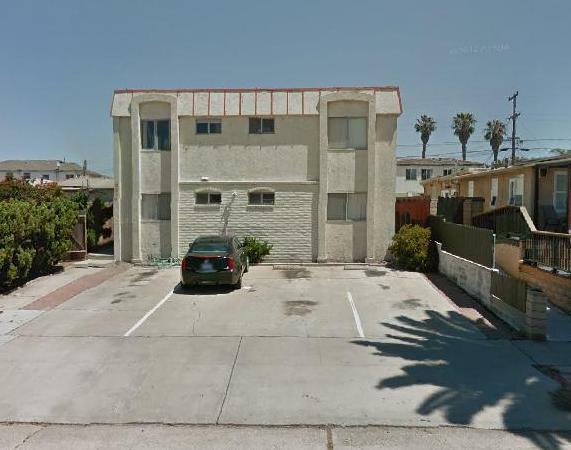 The complex located at 5076 Saratoga Avenue in Ocean Beach consists of a 2-story building with 6 one-bedroom units and 3 two-bedroom units. There’s approximately 5,730 “rentable” square feet on the 7,000 square foot lot, assessor’s parcel number 448-101-04-00. The buyer of the property was Mills Trust, with Marcie Matassa listed as trustee, with an address of 8517 Lubec St., Downey 90240. Gordon Pettus and Gail Pettus, as trustees of a trust, were the sellers. This apartment complex – about 1 block from the beach – appears to have been built in the 1950s or early 1960s – definitely before more restrictive parking requirements were put into place. The front tandem parking is a clue. This sale joins others in a burst of real estate activity in Ocean Beach lately. Several apartments have traded hands over the last year, as capital that had been resting during the Great Recession, has now been unleashed. Of course, what is not known at this point, is what kind of improvements the new owners plan, and whether they will stick around and become good landlords who care about the village or will use this apartment as another speculation purchase with dreams of making a quick million off the sands of OB. hat tip to Deb G.
Is it me or have there been a whole heck of a lot of apartment sales recently? Anybody else notice that? Molly – actually we are putting together a list right now of apt sales over the last year. Thanks for bringing attention to this. Molly, a dramatic event is going to turn the world upside down, literally in the winter of 2016. Planet X, Nibiru or Wormwood will crest over the south horizon where Orion points his arrow and traverse from the south to North in one of the most spectacular events in human history, yes a a pole reversal is impending. The rouge planet will pull the pacific ocean northwards and it’s effects will be revealing. Let’s just say it will be hell on earth. Frank you should post this. People need to know this now. Ad hominem attacks are expected. No. I don’t wear a tin foil hat. Why should I? History repeats itself by the uniformed and ignorant attacking the messenger. Since, I love Ocean Beach. Here’s a capsulation of what will occur. Imperial Valley becoming a gradual flood zone. Sounds like good time? The Nepal earthquake is a result of Planet X’s gravitational influence of the Earth. Now, I repeat myself. What will you do?